You choose 5 of your best heroes and see how many levels of Aspen Dungeon you can pass. Inside, in addition to monsters, you will find treasure chests, potions and special traders with lower prices. Idle Heroes Strategy Game Guide. 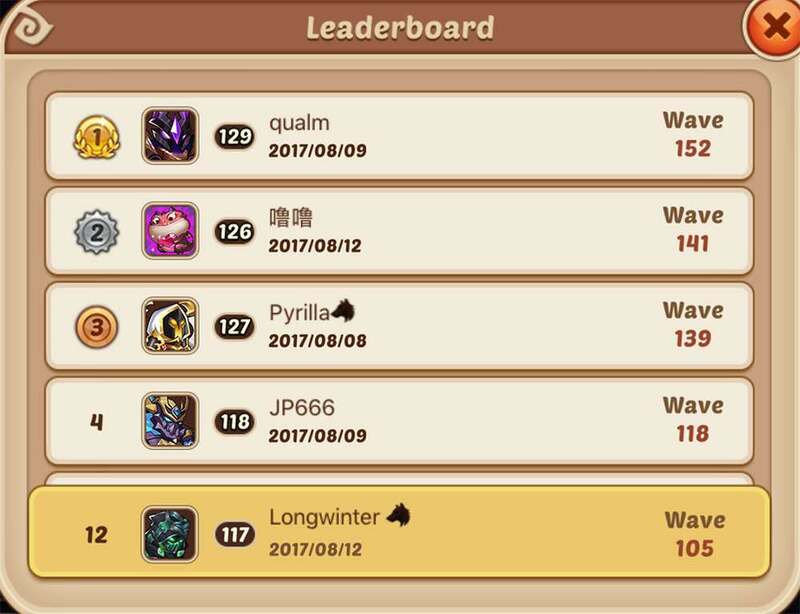 You choose 5 of your best heroes and see how many levels of Aspen Dungeon you can pass. Only one will fight at any given moment. Inside, in addition to monsters, you will find treasure chests, potions and special traders with lower prices. 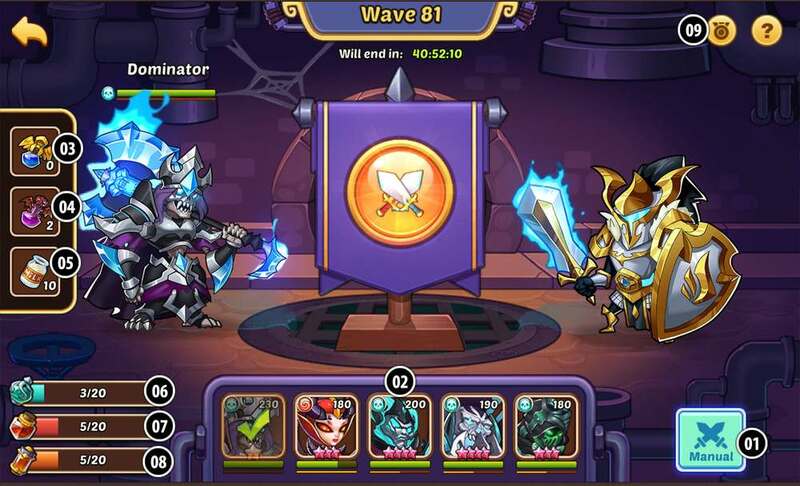 To effectively pass the levels of the Aspen Dungeon select the heroes who can heal during the fight and those who can do great damage if the opponent himself will be able to cure. Switch between these two types of heroes according to your situation to get the best effect. Aspen Dungeon will be available at 72 Level and will be open 8 hours at 48-hour interval. During each fight, Monsters will appear randomly. Click to check the Monsters' information and manually choose 1 hero to fight against the Monsters. After the fight is over, HP of heroes for both sides will be saved. The heroes run out of HP can't participate in fight any more. Each fight lasts 15 rounds. Hero who kills the enemy Monsters within 15 rounds will win. While hero is dead or fight over 15 rounds will lose. Fight victory will lead to 3 results: gain Chest, encounter Vagrant Merchant or gain Potion. 1 of the 3 results will be randomly granted after each fight. Chest: Can gain random rewards of gold, gems or Monster upgrading materials out from it. Use Vagrant Merchant to buy cool stuff at reduced price or click skip button in screen center to skip Vagrant Merchant to continue to fight. Potion: divided into two categories: Restore Potion and Buff Potion. Choose Restore Potion to get corresponding effects and choose Buff Potion to get buff. The times for using Buff Potion is limited. The Challenge ends up after all heroes from the attack team were dead. Choose Quick Combat to skip the fight process and directly go to check the result. Or Choose Manual Combat, watch the fight process through and check the result until the fight is over. Only 1 hero at a time from 5 available can be dispatched to the battlefield. The team-up heroes can't be changed after you have confirmed the lineup for the current event. Demon Potion	recover Hero's 50% health and gives +300 Energy. Speed Potion	gives Speed +10 to one hero. Crit Potion gives Crit +2.0% to one hero.